The PS3 has become a phenomenon since its release in 2006. It shaped the way we game and from its humble game playing origins a whole host of extras were added, turning it into a living room multimedia command unit. Since 2006 we’ve seen the emergence of social media and the whole ethos of ‘social’. Social everything is the orthodoxy in most fields and has resulted in billions of dollars being made and a second dot com boom. Social is the buzzword of our times, from Smart TVs with social integration, to social media travel networks, to social photography, social is everything, to all geeks, everywhere. We’ve seen a significant fall in the price of gaming in recent times, partially thanks to the rise of Android based platforms. A mixture of Google’s OS and cheap chips means that it’s now possible for manufacturers to see consoles such as the OUYA for under $100. And these devices aren’t lacking either, with many showing admirable prowess in both gaming and other areas, while incorporating social too. For big part players such as Sony and even Nintendo, this means prices need to be cut, profit margins lowered and thanks to the constantly lower cost of hardware, this is possible. As many of you know Sony released the PS3 at a cost that meant they made a loss, simply in the hope of getting as many BluRay players into people’s homes as possible. A mistake they didn’t want to make twice, having made it when their beloved Betamax format lost out to VHS due to high pricing in the 1980s. In fact, Sony never made a profit on the PS3 hardware until years after it was released; such was the cost of the technology. Now the components are lower in price, but then again the Playstation 4 is also expected to be cheaper too, selling at around the £300 mark – close to cost price according to analysts. So, what’s Sony’s motive? Sony has been failing for a long time, producing products that miss the consumer target by miles now and again. So, what better way to perform market research than have a device that measures a person’s preferences on a 24/7 basis. 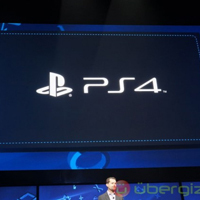 Unlike the previous PlayStation Network, which was anonymous to a degree, Sony’s PS4 will integrate with all your social networks, allow you to stream live replays and feed of you playing games socially and really pushes the whole social factor. Conversely, the fact that Sony’s Playstation 4 works with your existing Facebook, Twitter and social media profiles and other social information makes the product worth more to Sony. Social allows Sony access to data; it allows it a tapestry of information on its user’s preferences, likes and wants. Essentially, it allows Sony to mine data and how much is that worth – a lot! So, like the PS3 with its reasons for its artificially low price, the PS4 also plays the game. It’s cheap for a reason, however its marketing worth is long term and the profits will be too. Sony has used the sum of all social media’s parts to turn its new console into the ultimate marketing tool and it’s up to you whether you want to play the game. My Social Agency is a digital marketing agency with a difference. Click here to find out more.